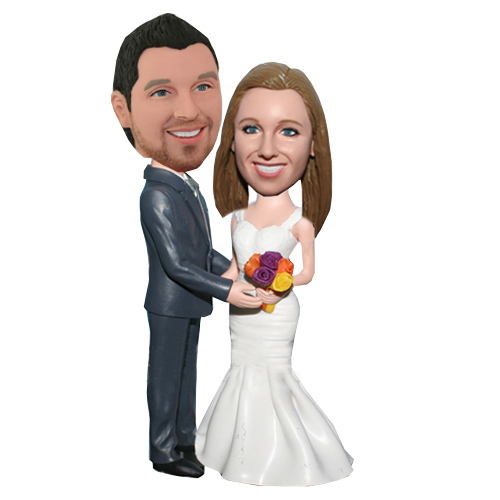 This happy couple bobblehead set is fantastic. 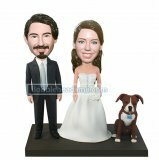 Depicting a groom in grey, and a bride in gorgeous mermaid wedding dress, it’s amazing gift for the newlyweds.If you make it as your personalized wedding cake topper, it will be a big hit in the wedding ceremony. 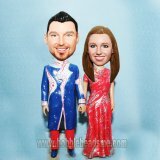 Just send us the photos, we will make a pair of happy couple bobbles for you. It’s full of fun and love. It's adorable. Great communication with vendor. 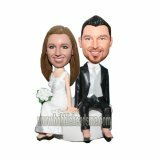 Can't wait to share with our wedding guest!